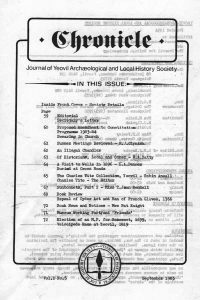 1983 marks the 50th anniversary of both the death of one of Somerset’s most distinguished antiquarians and the creation of Yeovil’s local history collection. It is no mere coincidence – the two are directly related. A Tauntonian by birth, Charles Tite,J.P., (1842-1933) bequeathed in his will £1,000 to the Mayor and Corporation of Yeovil and a substantial number of valuable books from his personal library. It was these books that formed the nucleus of what has become Yeovil’s local collections: The Charles Tite Somerset and Dorset Collection. Tite’s background is interesting – he settled in Yeovil when comparatively young, where he became the editor of the ‘Western Flying Post‘. This paper, subsequently amalgamated with the ‘Western Gazette‘, was sold off in 1886 and Tite then retired from professional life at the remarkably youthful age of 44! His ‘retirement’, if that be the word for it, was passed in Taunton ‘ . . . not in leisured ease, but in active and useful work for the causes which he loved’ (1). These causes were many and varied including among others serving as ‘. . . a magistrate, a member of the Committee of the Taunton Free Library, and the Taunton Borough Education Committee . . . a generous supporter of St Mary’s Church . . . a teacher in its Sunday School . 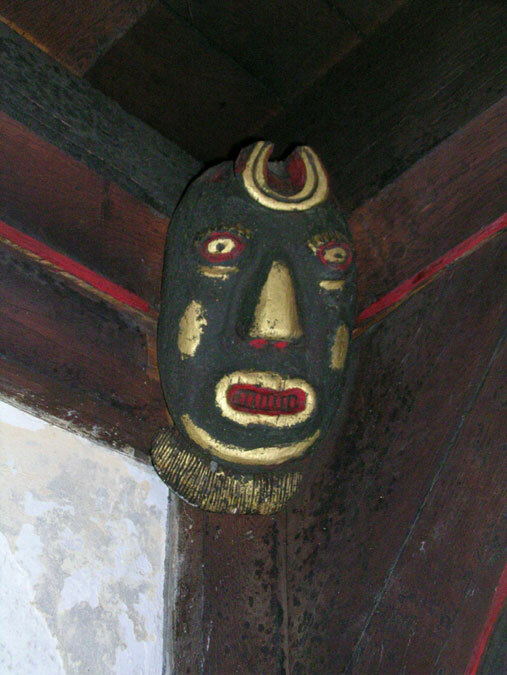 . . Chairman of the Trustees of the Taunton Town Charities’ (2). He also found time to devote to the activities of the Somerset Archaeological and Natural History Society, becoming one of its honorary secretaries in 1900 and vice-president from 1913. It therefore came as no surprise that when Charles Tite passed away on 20 May 1933, he left the greater portion of his wealth to the causes and institutions that he had supported so tirelessly during his long life. His bequest to Yeovil Library, which had only come into existence five years earlier, was quite specific: ‘ . . . to apply the income for the purchase of good and useful works of reference relating to the history, archaeology, or natural history of the County of Somerset or any part thereof, or of books written by natives of Somerset or by persons long resident in the said county for or in connexion with the Public Library of the Town of Yeovil’ (3). The £1,000 is now held in 4 per cent consolidated stock and obviously can no longer support a local collection of any worth entirely by itself. Unfortunately, a budget of £40 per annum in 1963 is not what it was fifty years ago! Legal complications have prevented the money from being re-invested and so Somerset Counter makes up the shortfall. The collection today comprises some 3,000 books and several hundred manuscripts. We have local newspapers on microfilm back to 1740 and Yeovil district census returns, 1841-61. 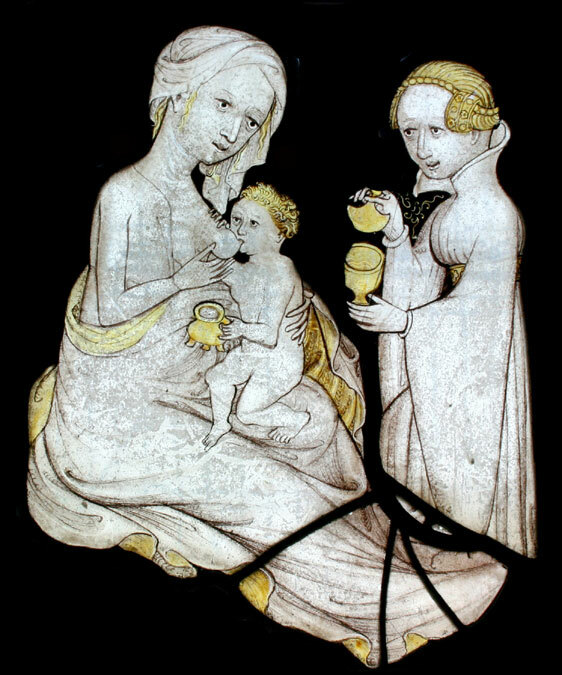 There are no illustrations as such, though we have a growing collection of 35mm transparencies used in connection with talks to local groups and societies. 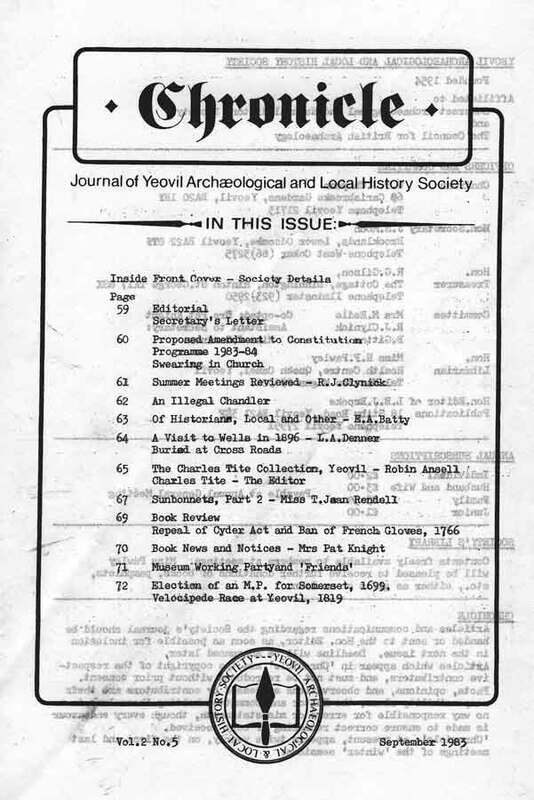 With local government reorganisation and the creation of a County local history library at Taunton Castle (1973) the acquisition policy at Yeovil has been re-defined. For Somerset we now purchase only those publications which concern Yeovil and its immediate vicinity. However, because of our unusual geographical position, almost straddling the Dorset/Somerset border, we also take selected works on Sherborne and District. If Charles Tite were to walk into the library today I feel sure he would be pleased with the way his collection has grown! (1) and (2) Somerset Archaeological and Natural History Society Proceedings, Vol-79 (1933), pp.120-22 (Obituary notice). (3) ‘The Times‘, 28/8/33, p.13 col.d. (Report of Tite’s will). CHARLES TITE (Footnote to the above by the editor). With regard to the third paragraph of Mr Ansell’s article, the information contained in the ‘Proceedings’ obituary, is slightly misleading regarding Charles Tite’s connection with the Western Flying Post. Tite came to Yeovil from Taunton as a solicitor soon after the inception of the Western Gazette by Charles Clinker in 1863, and appears to have become that paper’s legal representative soon afterwards. A lifelong friendship developed between Clinker and his legal adviser, the latter being in a financial position to provide capital necessary to enable the Western Gazette to expand, particularly in its very early days; he also took an active part in the paper’s management. In the early days of the Western Gazette, the opposition was The Western Flying Post with offices and works in Princes Street, and although once possessing a very large and influential circulation, had by then been allowed to run down, though it was still the ‘official organ’ for local government advertising. Clinker and his, by then, partner Tite, decided that when opportunity afforded, the latter would purchase the older paper in order to acquire the sought-after revenue from ‘official’ advertising. Such opportunity occurred in 1867, when Tite acquired the Western Flying Post copyright – a note in the writer’s possession, in Tite’s handwriting, says the paper then had ‘a circulation of only a few hundred’. His name first appears in the imprint of the Western Flying Post as publisher, on 26 March 1867, and the printing was then transferred to the Western Gazette works in London Road (Sherborne Road) opposite the Osborne Brewery, and its distribution was carried out by the Western Gazette staff. Only a matter of a few weeks passed before the papers were amalgamated, the last issue of the Western Flying Post being dated 18 June 1867, and on 21 June the combined issue appeared under the heading ‘The Western Gazette and Flying Post‘, a title which remained until 12 July 1872, after which the words ‘Flying Post‘ were dropped. Tite, a very self-effacing man, did not allow his name to appear in the imprint of the Western Gazette until 1877, though letter-headings continued to carry the heading ‘Clinker & Tite, proprietors . . .’ until the paper was sold to a consortium of Conservative gentlemen in 1886. There is an agreement, dated 19 April 1884, now in the possession of the founder’s grandson, for employing a cleaning lady, which provided that she was to ‘keep clean (to the satisfaction of Messrs.Clinker & Tite) the seven rooms in the Western Gazette office’ (then in Newton Road opposite the present offices) ‘occupied by Mr.Clinker, the proof-readers, Mr. Tite, and the clerks . . .’. Both partners had adjoining dwellings in Yeovil, Clinker’s address being No.22, and Tite’s ‘Fair-view’ No.23 Sherborne Road. Clinker died suddenly the same year the paper was sold, indeed on the very day the final transfer papers were signed in London, and Tite, shortly afterwards, moved back to his native Taunton, his address being ‘Stoneleigh’, South Road. The writer recollects the then managing director of the Western Gazette, the late Mr.A.S.Macmillan, who was Tite’s executor, coming to Taunton to apportion the bequest of book at South Road for Yeovil Library. The remainder of the books in his private library, together with the furniture, etc., were then sold by auction on the premises, a sale which the writer attended. The writer also has reason to be grateful to Charles Tite, for, as a member of the’County society, he had access to the considerable collection of volumes relating to Taunton in the Tite Library in Taunton Castle. Information for the above comes from several sources, chiefly: Files of The Western Flying Post, and Western Gazette, Printed and MS material. at the Western Gazette offices, Documents in the possession of Mr.C.R.Clinker, grandson of the founder of the Western Gazette.